KoopaTV: Why All The Excitement Over A Remake? By LUDWIG VON KOOPA - Remakes can be nice, but they shouldn't be a system seller! Without question, the biggest news from yesterday is that the United States is going to be saved from the tyranny of the Democrat Party, and the voters were smart. However, SOME people think that the biggest news is that The Legend of Zelda: Majora's Mask is getting a remake on the Nintendo 3DS, coming out early 2015! The Legend of Zelda fans everywhere are super-happy from that. And I know these people are a cult obsessed with creepypasta and the Moon, based on the view count of when I published an article during E3 2014 of just the Moon and Great Fairy from Hyrule Warriors. That got far more views than anything else published during E3 2014, because people just want to come search to see their precious Majora's Mask Moon. And if you look at the trailer for Majora's Mask 3D on Nintendo's YouTube channel, it has way more views (over half a million now) than any other video published yesterday. Including the Direct itself. Do so many people really think Majora's Mask is such an amazing game that they want it remade? GameFAQs thought it was the best game of the 2000 to 2010 decade, trumping Super Smash Bros. Brawl. Well, hey, I was around back then, and I voted for Brawl. And you can bet that I voted for Wind Waker too when it was up against Majora's Mask. "Hey, Ludwig, if you're going to go on a 'Remakes should not be the most anticipated product offering for a system' rant, you better address why you said The Legend of Zelda: The Wind Waker HD was the best game on the Wii U in 2013." Well, I never said that it was a good thing that the Wii U's best game was a remake! It just happened to end up that way. And at least Wind Waker HD was optimised to take advantage of the Wii U features, such as its Miiverse functionality. (Meanwhile, who cares about 3D graphics? ...And what if you're a 2DS owner?) Anyway, if you look at the 3DS line-up since Super Smash Bros. For 3DS came out, it pretty much is just Pokémon Omega Ruby and Alpha Sapphire. Oh, and then Phoenix Wright: Ace Attorney Trilogy! 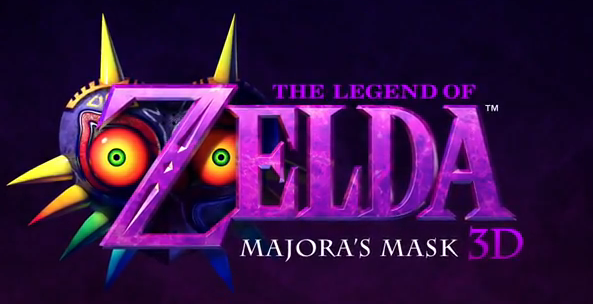 So after that we are going to enter 2015 and get The Legend of Zelda: Majora's Mask 3D! Get me off the Moon! Meanwhile, the Wii U is getting its fair share of all new titles, plus Virtual Console ports. Good! That's what should happen. People should buy consoles based on those new, exclusive titles. I'm convinced that the Majora's Mask people have never played it before, or else they wouldn't be so excited to BEG Nintendo to play the same game they have already played before! Case in point: You think all of the EarthBound supporters have played EarthBound before it was ported to Wii U? Definitely not. Most of them heard of the series through Super Smash Bros., including myself. Which means, for Majora's Mask, that the cause of all of these folks' excitement is from folklore accounts. People are obsessed with this game because of its style over its substance, which you can tell by what Nintendo put in their trailer and how they arranged it. 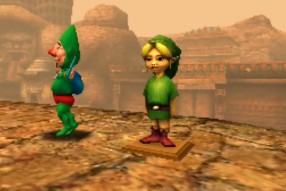 Personally, I'd prefer if people instead wanted to play Majora's Mask because of Tingle. One more thing: I've actually read people say that Nintendo is an amazing company because "they listen to the fans" and announced Majora's Mask. That is naive thinking. They aren't some humanitarian organization. Nintendo is a business. Majora's Mask 3D is a cash grab to keep your 3DS in use, because we all know Super Smash Bros. For 3DS is going to stop being played as soon as the Wii U version is out. They are doing it to take your money. It's not a favour to you! It goes without saying that I would rather have the effort companies put into remakes and DLC go into making new titles in a series. That effort wouldn't translate into an entire new game, but you gotta start somewhere. Hey, you could have a Majora's Mask sequel instead! Ludwig still enjoys remakes, but not when they are the entire future of a console's library. One of his favourite games of all time is a remake — Super Mario Advance 3: Yoshi's Island! You can buy it on the Wii U's Virtual Console and post about it on Miiverse, and while you're there, you can Follow him at NNID PrinceOfKoopas! Ludwig writes more about why he dislikes Majora's Mask from a gameplay perspective here. Vortexica ended up being really excited to buy the remake, though. ...Oh yeah I guess Codename S.T.E.A.M. is coming out too but I literally forgot that existed. Again. One of the main reasons I like remakes is because remakes of older games give people who never had a chance to play the original, or don't have the right console, to play it. I usually don't buy remakes of games I already played the original version of--unless I really liked it so much that I want to play it again with improved whatever, or it's added enough new features to draw me back. But everyone on the planet has a Wii! ...And Majora's Mask is playable on that just fine, and with better controls. Oh, yeah, different frame rates is a thing. "this is not going to be just another remake"
"We’ve spent a lot of time making sure the gameplay experience is smoother than in the original version without taking away from this unique world." "When it's closer to its release date, I’ll talk more about what has been changed in the Nintendo 3DS version and its new features"
Yeah, they spammed the word "new" when the ORAS trailer came out, too. Also, "One more thing: I've actually read people say that Nintendo is an amazing company because "they listen to the fans" and announced Majora's Mask. That is naive thinking." That line was amazingly confirmed when Aonuma said they started right away on Majora's Mask 3D. Operation Moonfall was a complete waste of resources. That's true. It still inspires an illogical hope in me that Capcom has been secretly planning an AAI2 release all this time. If they were, what are they waiting for? In my dream world, they're waiting for the Phoenix Wright trilogy to comes out so they can follow that up with a second collection containing Apollo Justice, Investigations 1, and Investigations 2, and therefore have the entire series available on the 3DS. And since they've been releasing "localization blogs" on a regular basis building up to the trilogy release, the final localization blog after it's out will actually be about AAI2. Alternatively, the localization blogs are just to promote the Trilogy. And only the Trilogy is being re-released because... um... someone at Capcom hates Apollo and they want players that are new to the series as of Dual Destinies to actually know Wright. It would make JUST AS MUCH SENSE, if not more so, to just rerelease Apollo's game by itself without unrelated Investigations stuff. Silence! This is my dream world we're talking about! To expand a little further, now that I have more time... Some remakes get it wrong. For example, the Silent Hill HD remake. That was an excellent chance for new people to get the games... except the remake wasn't very good and change things it should have. I'd be much happier if Silent Hill 2 and 3 were released on PSN, because the originals are arguably BETTER than the HD versions. Some remakes get it so, so right. Resident Evil for the Gamecube is an example of a perfect remake. It took the original, mixed it up just enough to mess with players who played both, added whole new sections, content, and mechanics, redid the look and feel of the game, and basically outdid the original at every turn. Majora's Mask will probably fall in the middle. Basically the same game, maybe a couple new features, and better graphics. As for why someone (like me) will choose to buy MM3D over the original on VC... when there are multiple versions of a game, different people use different methods to pick one. Some people opt for the cheapest version, some go for a particular platform... for me, I look for 1) the most accessible (ex, it's for a system I own, have out, am most likely to play on) and 2) the "best." What makes a version the "best" varies quite a bit, but here, I have to say that a remake for a much newer system, with improved graphics, is going to be the "best" unless they somehow screw it up a la the Silent Hill HD collection. Did people really beg Nintendo for years because they want "a couple new features" and "better graphics"? 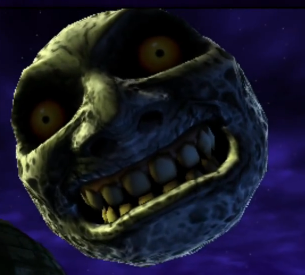 ...If you ask me, the Moon looks a lot uglier than the original. That's worse. Well, VC has better controls and is much cheaper. From a price-to-value perspective, there is no way that Majora's Mask 3D will beat that. How do you know it has better controls? How do you know MM3D won't have more value? We've barely heard anything about it yet. GameCube controller is always better than a 3DS. Smash 4 should prove that definitively soon.